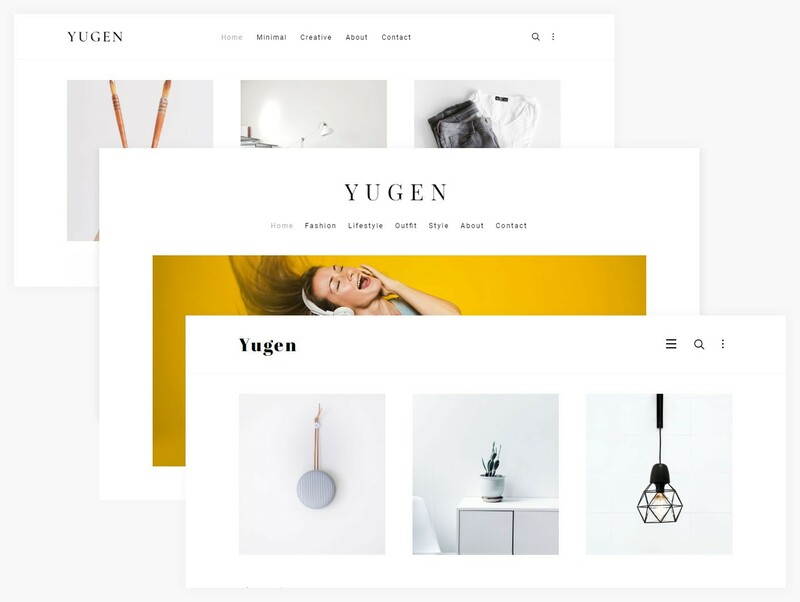 Yugen Pro is a clean, simple, minimal, modern & stylish WordPress blog theme, fully responsive design and easy to use. 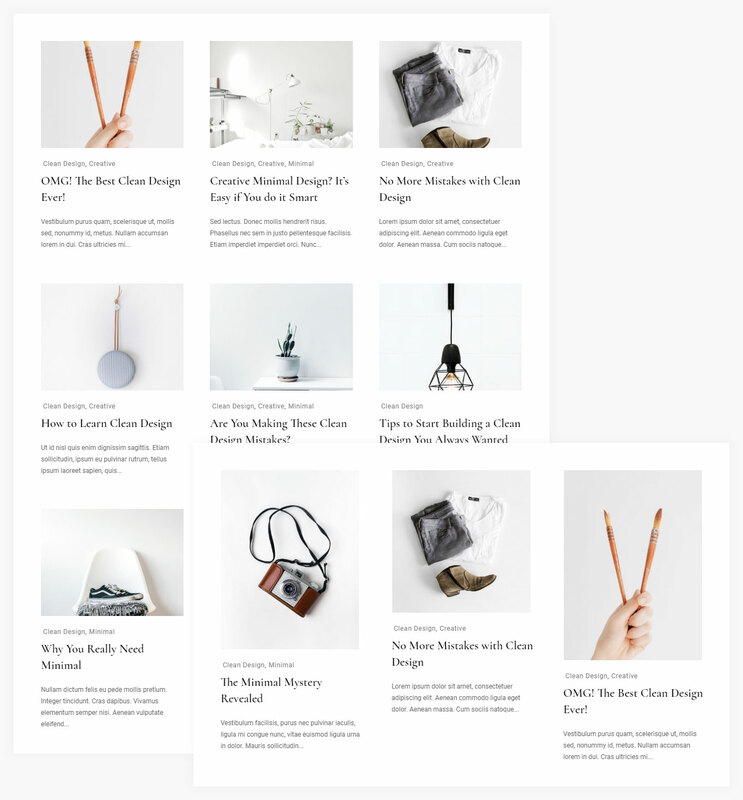 The minimalist design-oriented theme that helps you to showcase your posts super clean and beautiful and suitable for creative writers and bloggers ranging from Fashion, Travel, Music, Car, Real State, Beauty, Design, Food, Wedding, Movie, Photography, Technology and any other niche. 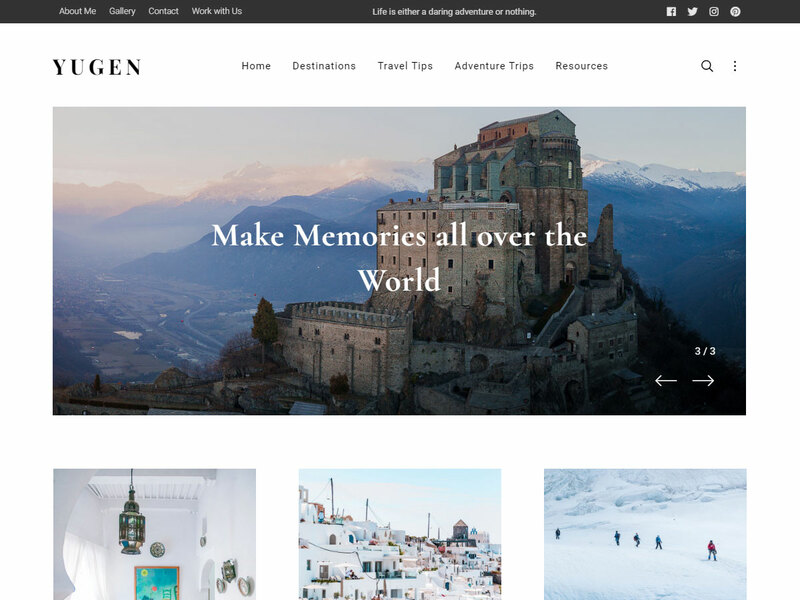 Yugen Pro is easy and flexible to use and customize and rich in features hero Image, posts slider, multi-layout columns, masonry, Instagram, social profiles, about me widget and more. Create beautiful header with 7 pre-defined layouts, sortable header bar elements and easy customization options. Slide-in Box to create minimal sidebar with smooth effects. Hidden content of Slide-in Widgets position can be triggered with 3 dots icon. Hero Image/Slider with smooth effects with customizations, typography, custom button settings to create highlighted banner and content. Recent Posts Slider with customization options, number of posts & column spacing, thumbnail image ratio, slider settings help to create beautiful featured post listing. Flexible Blog Layouts and columns with easy customization & sortable elements, column spacing, Custom page header, elements spacing and more. Typography helps to create an elegant appearance of your content, included more than 750 Google fonts with fonts. 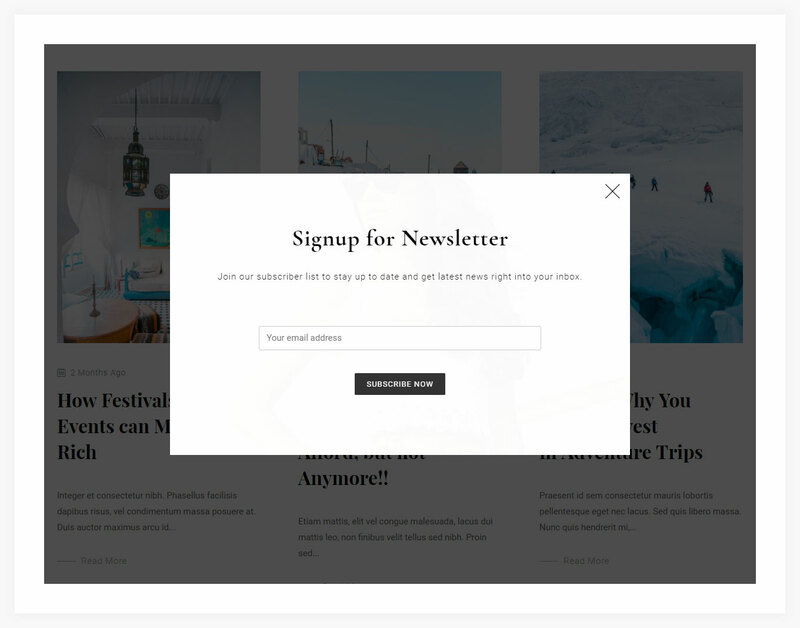 Pop-up widget position to attract with visitors to get more attention. Any widgets or custom content can be added to popup box with customization options. Signup to get notify about theme release, offers and updates. 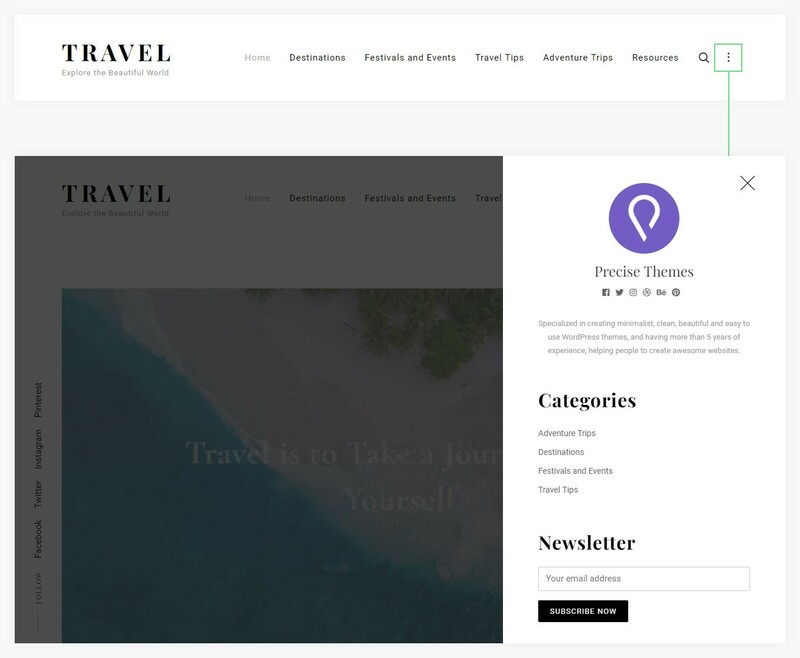 Copyright © 2019 Precise Themes - Premium WordPress Themes. All Rights Reserved.